Metallics Mine-Chem Private Limited is to sole enterprise dealing in Minerals And Chemicals in the Industrial Paradise city of Gujarat State. The company is actively engaged in the manufacturing and supplying of flawless Value Added Minerals. 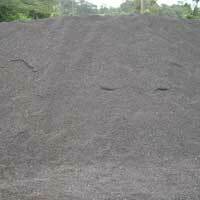 We are counted amidst the most dependable Manganese Dioxide Manufacturers in India. 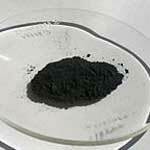 The countable features of the Manganese Dioxide i.e. unmatched quality and unbeatable performance, have attracted customers from every nook and corner of India. Moreover, the Manganese Dioxide Powder offered by us are used in the manufacturing of several chemicals, glass, paint & varnish, ceramics and water treatment granules. We also facilitate our customers with the availability of the Manganese Dioxide Powder in various grades to meet the specific requisites. Chemical Properties Other content like Iron, Silica, Phosphorus and alumina are to be specified according to buyer⿿s requirement. To enquire about the desired product(s), just check the box and then click “Inquiry Now” button which is provided below.